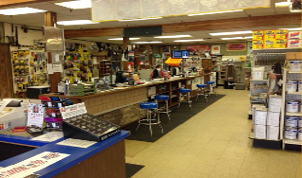 Since 1920, Benson's Building Supply has been the leader in providing the best supplies and lumber possible. No job is too big or too small for us! If you have any doubts about color, size, quality or just general questions on where to start with your next construction project, please feel free to come into out showroom anytime. Our associates have years of experience in the construction industry and know the best products to recommend for your construction or remodeling project. Everything looks great in a catalog or online, but to truly understand what you are getting, we recommend to come in and see it for yourself. That way there will be no doubt in your mind that you have chosen the right product. If you are taking on your construction project yourself Benson's Building Supply can provide you with all the materials you will need along with some expert advice. We are the small family driven supplier, where we like to learn your name and greet you with a warm hello when you walk in. Please join us in sharing your projects via Facebook now through the end of February. Material must be purchased from Benson’s*. 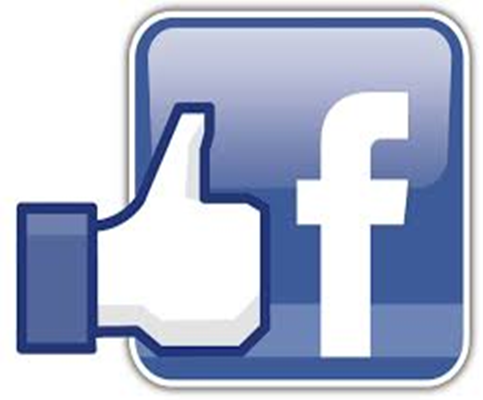 Contest will be based on the number of “likes” your post receives. Contest will run now through the end of February 2017. Uploads must be from material purchased in 2016. 4.) Collect prize for most “liked” upload at the end of contest. 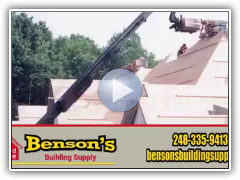 Thank you very much from all of us at Benson’s Building Supply – Good luck! *All projects must contain material purchased through Benson’s and will be validated at Companies discrepancy. Benson’s has the right to make final decision for all prizes. Each company can only win once.